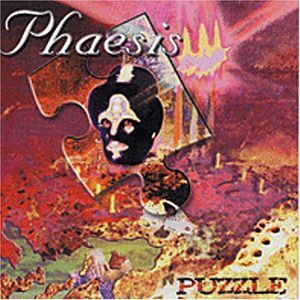 Phaesis from France is no new band, in fact they can celebrate their 25th anniversary in a few years time, since the band was founded in 1982. This is their fifth release to be precise. They seem to have changed from a Pink Floyd cosmic-driven sound too a sometimes faster playing neo-prog band reminiscent 80s IQ and Pallas. The compositions are well structured, the playing is fine, but they don’t strive after adventure. In the beginning of “Rubens Regina,” we can detect an atmosphere of Ange and Mona Lisa in their heydays, only it’s quickly destroyed by a totally unexpected deathgrunt. Really annoying is the double bass drum in several pieces. The voice of Eric Herbillon (also bass) is not always sufficient, he has trouble reaching the high notes and his voice is sorely in need of musicality. For fans of neo prog who don’t care for innovation, but want to hear solid neo prog with of course a French touch.